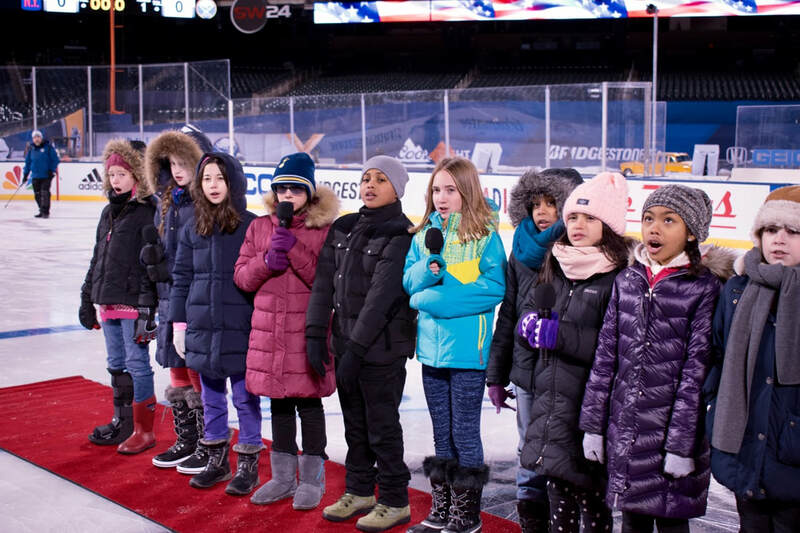 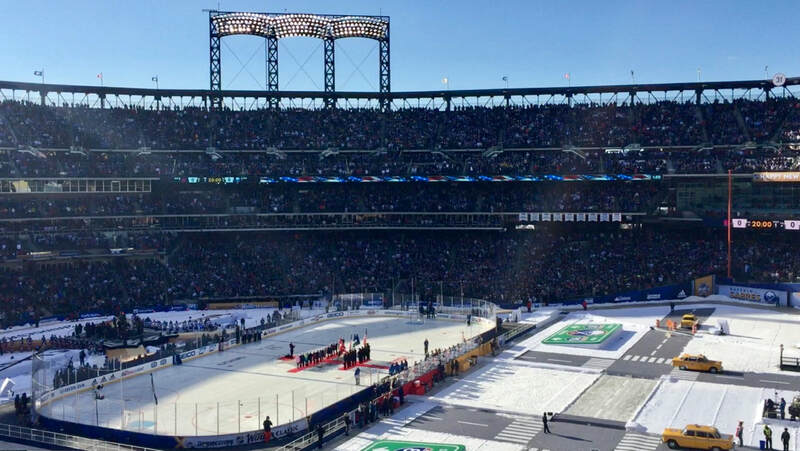 EVC was honored to be invited to sing the national anthem at The 2018 NHL Winter Classic at Citi Field in New York City. 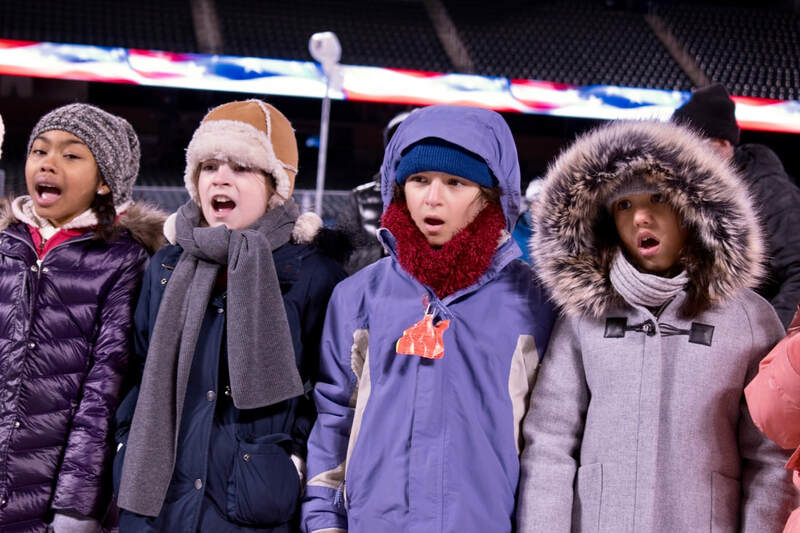 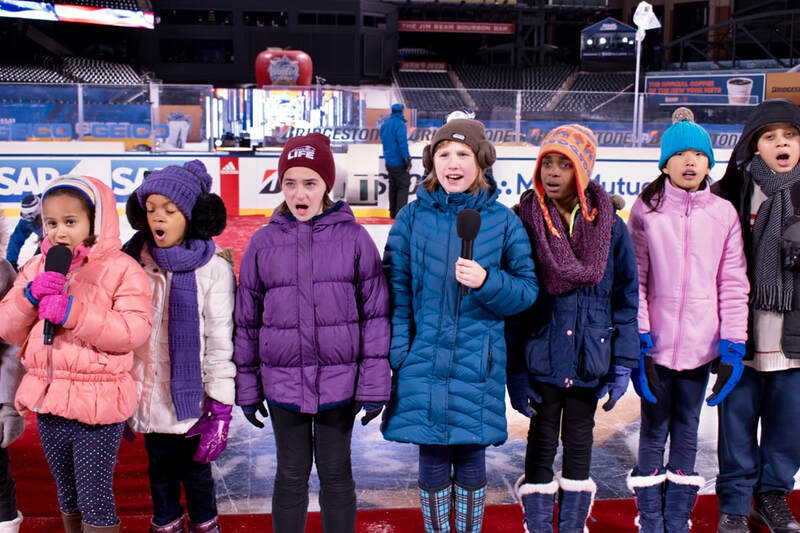 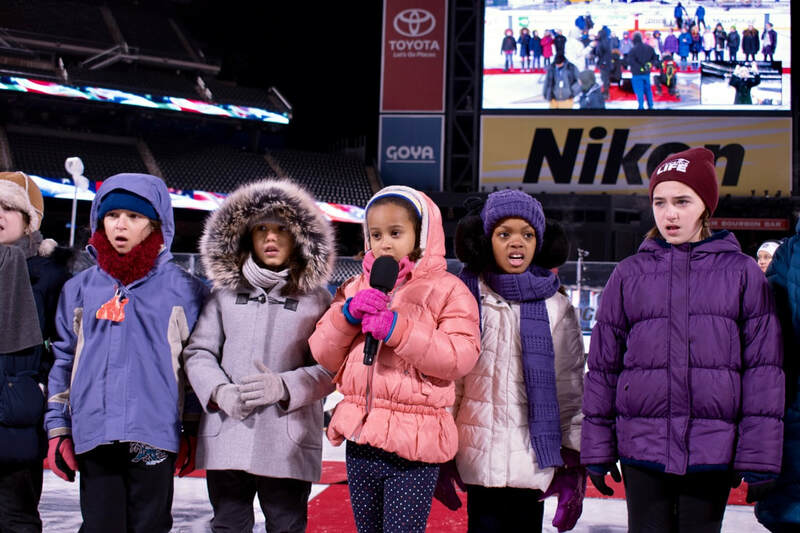 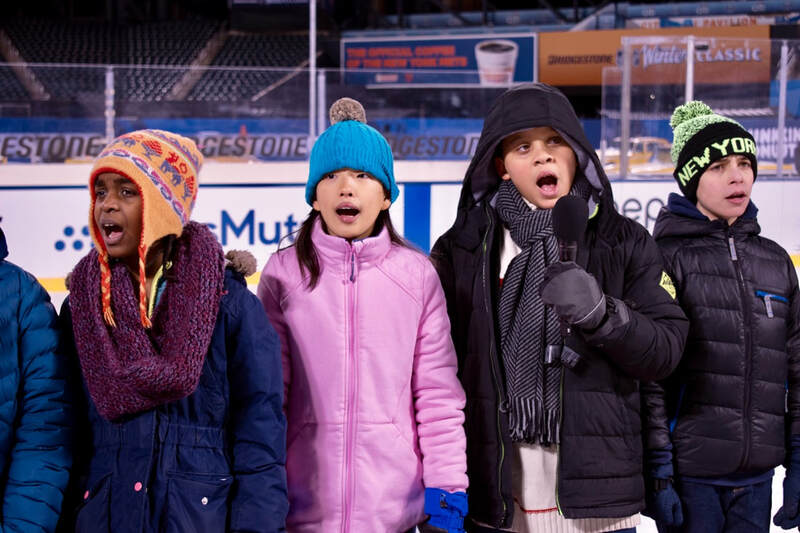 Led by EVC's Artistic Director Nicole Becker, on New Years Day a group of children braved the cold to perform for thousands of spectators in the stadium and many thousands more as the event was broadcast live on NBC, Sportsnet and TVA Sports. 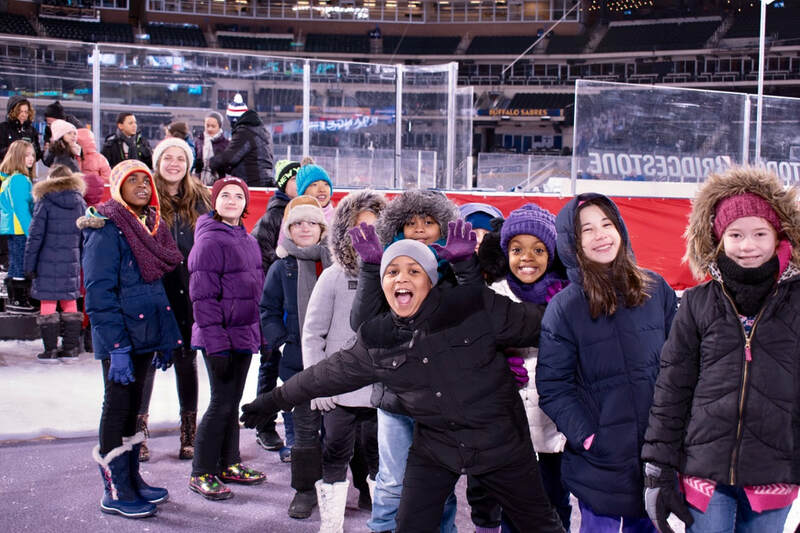 ​Read more from the NHL about the event and the performer line-up HERE. 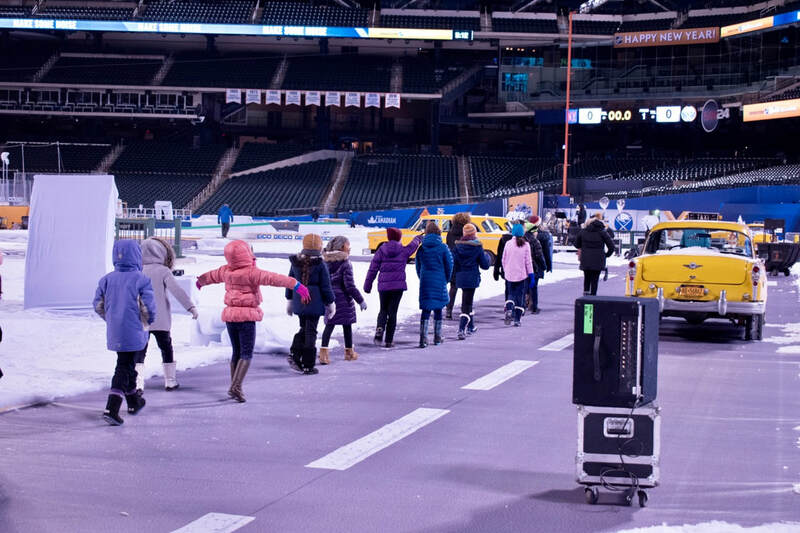 See images of the preparations and performance below.